As I travel around I see signs for harvest festivals. September is definitely the month in which to gather in the remainder of the summer crop. It's been a bumper year for us and whilst gathering in our produce we've had to get the wheelbarrow out just to carry it all! 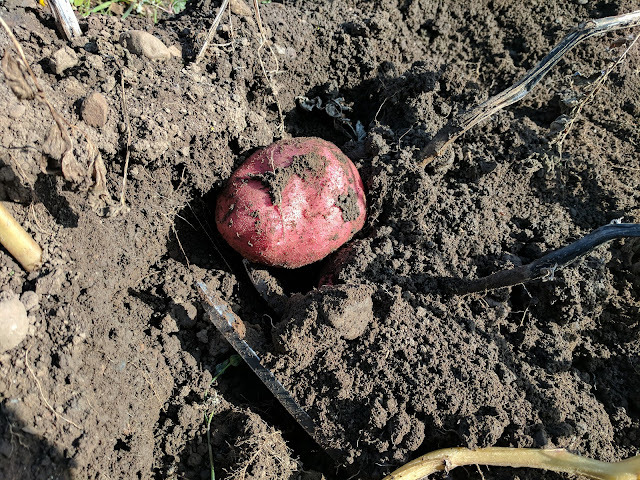 With storms forecasted I decided to dig up the last of the potatoes on the plot. I didn't want the ground to get drenched and the potatoes to go rotten. While I was digging them up one of my plot neighbours asked if we had had a good crop this year. He told me his potatoes had been a disaster as the slugs had eaten most of them and he had only managed to get about five potatoes. I've not sure what we have ever done differently but maybe he planted a variety that the slugs particularly enjoy. We've had the pick of the pears this month. 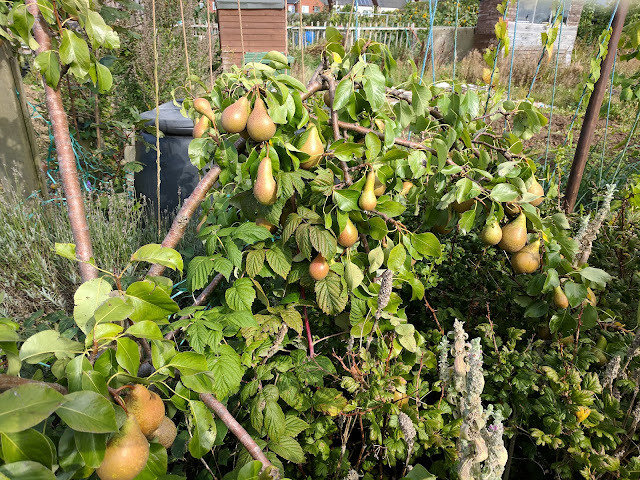 Last year the yield wasn't as good and the pears had a strange coating on them. This year they look perfect but I'm not sure what we are going to do with all of them! When we pick raspberries in the summer we get enough on a regular basis to eat as a pudding or to put some in a cake. The best time for picking comes in the autumn. 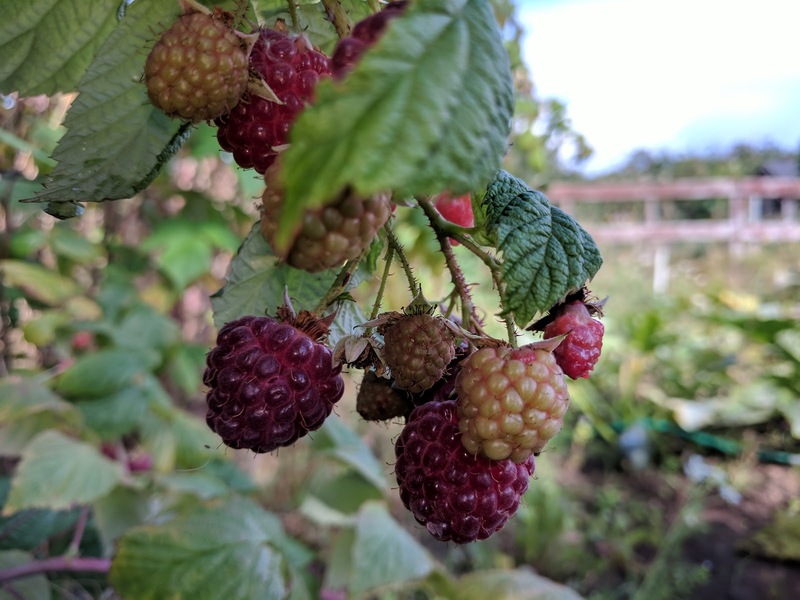 The mixture of summer sun and early autumn rain have meant the raspberries swell up and are plump and sweet. This weekend we experienced something only raspberry growers can – the luxury of a raspberry crumble! This has been the year of courgettes. We won't be planting quite so many next year but we have been richly rewarded this year. 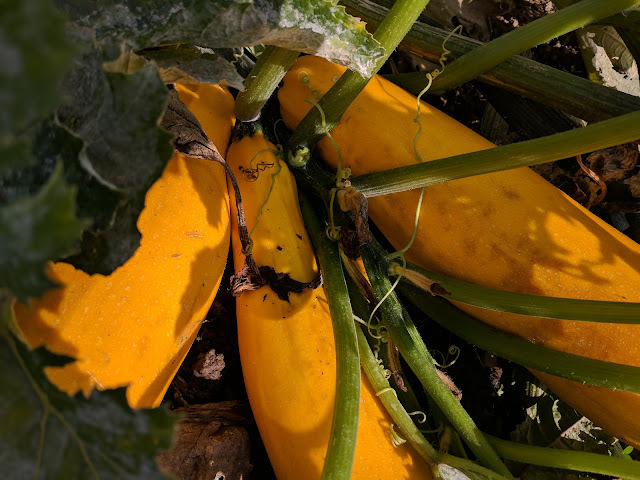 The only problem we have is to pick them before they grow into marrows! Our treat at the moment is eating corn on the cob. 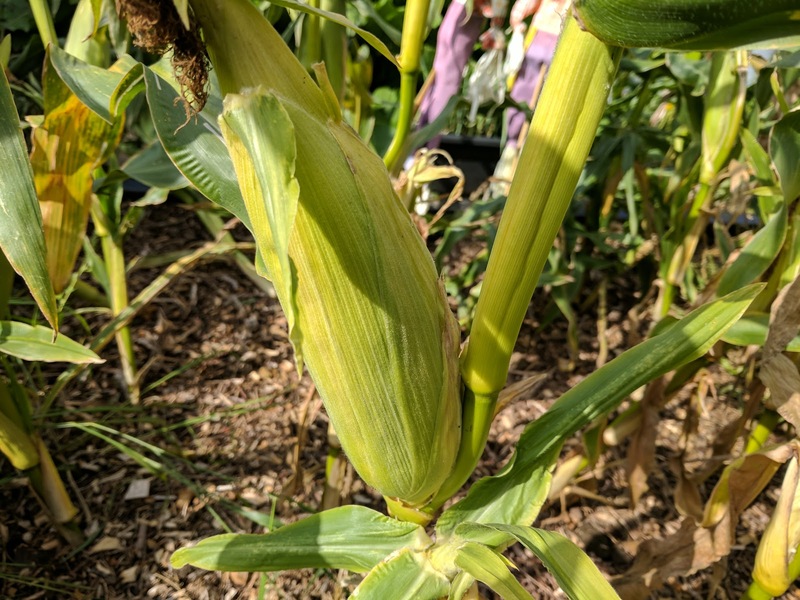 There's nothing like the taste of sweetcorn picked and eaten within the hour. It just needs boiling quickly and serving straight up as it is. 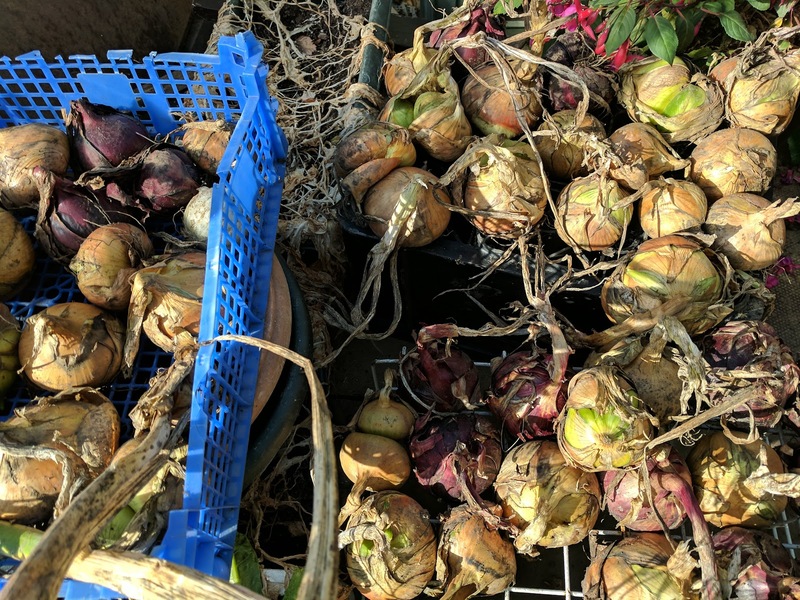 Our onions have finally been lifted and are drying out in the greenhouse. We don't have a drying rack but have utilised what we have found in our shed which was left by the previous tenant. There's two upturned bottle crates, a blue plastic delivery tray and an old wire basket! 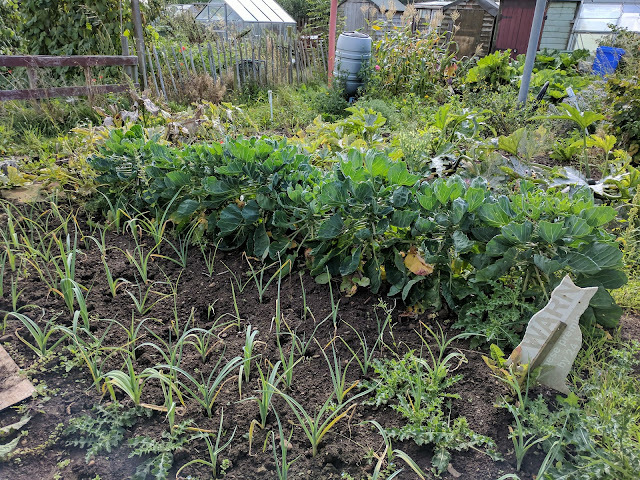 I haven't been to the allotment since the storm but it seems we got rain rather wind. I'm presuming the shed and greenhouse are still on our plot!